B. Am starved for cute and spring-like in my house. It is still winter, here. C. It looked like something out of this house tour, House Beautiful circa August 2010. 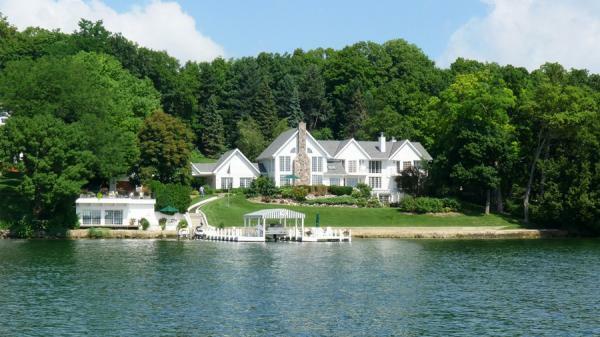 This is my dream cottage, by the way, in case anyone was thinking of buying me a second home. Help me out here, people – my family and I are second-home-less. 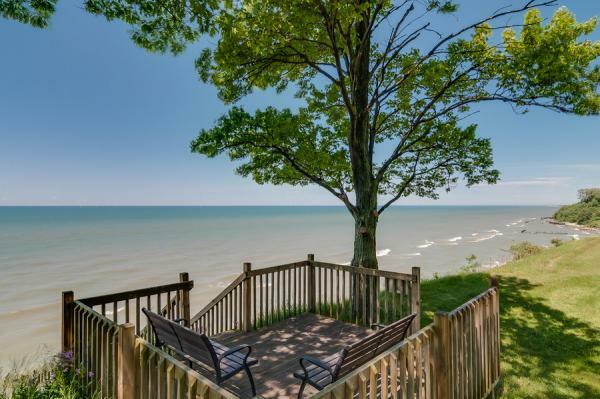 No cottage to call our own, no cabin in the woods, no house on stilts on a deserted beach, no darling clapboard on the Vineyard to call our own. Woe is ME. 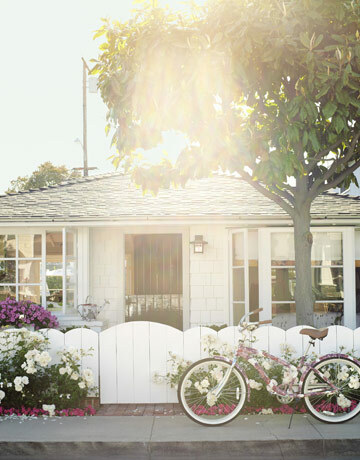 This looks like the perfect summer cottage: white fence, Lilly bike. 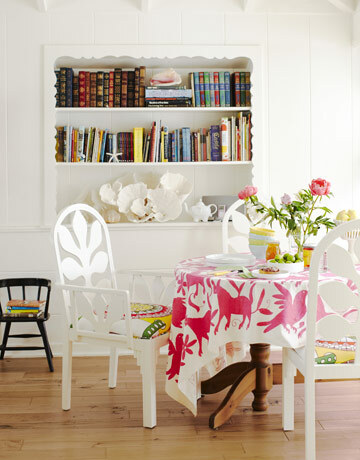 The white armchairs, piped in hot pink, are killing me. Pink and green and white, this room is just dying for a summer party. 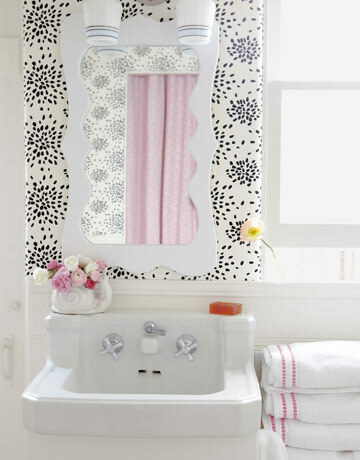 Scalloped built-ins, and lots of pink and white. Summer houses should *never* be serious. Radley’s Fireworks wallpaper – in a teeny bathroom. Perfection.